Our Club Nursery will continues this Saturday morning and every Saturday morning from 9.30am. All 4-7 year old boys and girls are welcome to come down and join in the fun! Kieran Bergin, former Tipp Hurler and All Ireland winner, will also be at the club this Saturday at 9:30am (February 2nd) selling hurls of all sizes and sports wear! A huge thank you to everyone who supports St Brigid’s Club Lotto and thanks to our hard-working Lotto Committee. Our next Lotto draw is in Russell Park when the Jackpot will be €9,800 this Friday, February 1st. The Club are delighted to be part of the GAA's National Club Draw again this year with a top prize of a new Renault Car up for grabs. Tickets are €10 and are available from the bar or from team mentors. Closing date for return of tickets is this Sunday, Feb 3rd. Championship 2019 Regrading forms are now available! Completed forms should be left behind the bar for Mary O'Connor before January 29th. 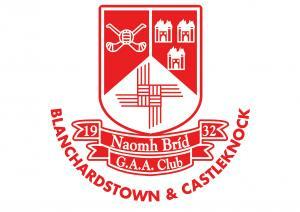 Keep up with all our news on our website www.stbrigidsgaa.com our Club App and our Facebook and Twitter pages! Our Club Shop with O'Neills is also on our website!